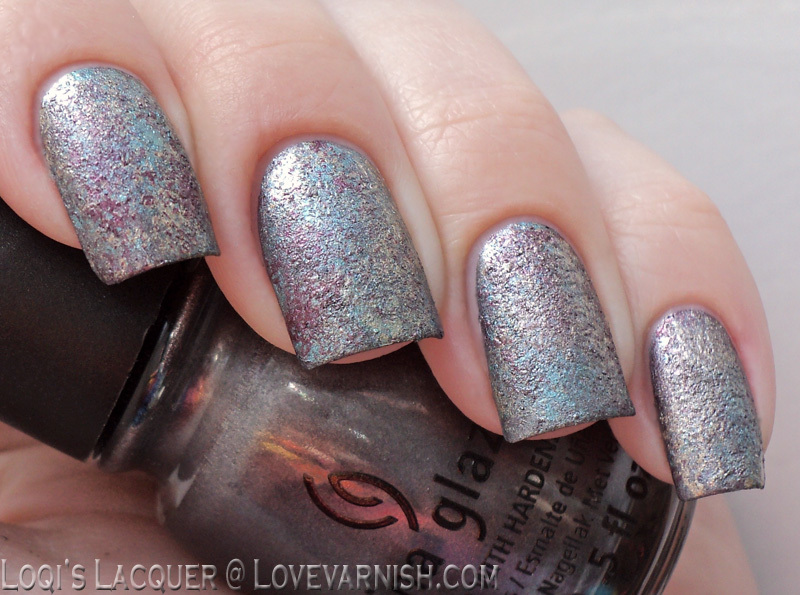 Love Varnish: 31 Day Nail Art Challenge - Metallic nails! Hi loves! How are you this Wednesday? Is Spring already kicking in where you live? Here in Holland the weather is trying, but it still isn't very good. It is getting warmer but I still don't have that Spring feeling so much! Are you ready for another 31 Day Nail Art Challenge post? 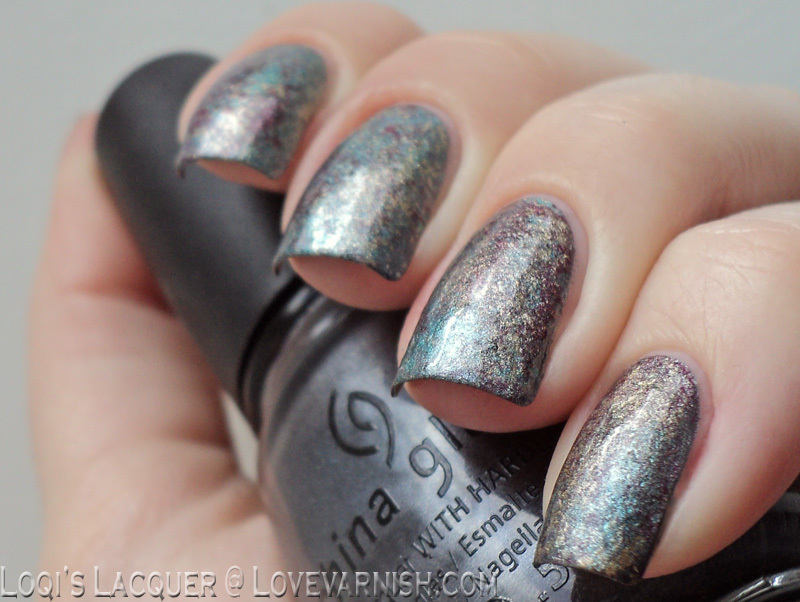 It's all about metallic nails and wow did Loqi do something awesome! But first check out my metallic tapemanicure. I started with a base of China Glaze Metallic Muse, a seafoam green polish. This was released as part of the Romantique collection and it is amazing for stamping - one of the reasons I bought it! But, a tapemanicure also shows the beautiful metallic finish without showing too much brushstrokes. 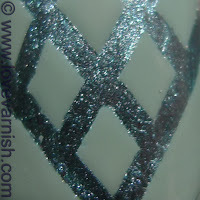 I used striping tape in various designs and topped it with a coat of OPI Thanks A Windmillion - stunning combo right? What is your favorite metallic polish? A new trend is taking over the nail polish world: textured polishes! Every brand gives them another name, but they are all essentially the same: matte or satin finish polishes with a gritty texture that can also be worn with topcoat for a smooth finish. I do not have any texture polishes in my collection yet, so for this metallic challenge I thought I would create my own! To do this I used 4 metallic polishes from China glaze (Awaken, Adore, Joy and Passion). First I painted my nails with Awaken and let it dry. Then I put a bit of the other 3 polishes on a piece of paper and with a textured sponge (not a smooth make-up sponge used for gradients, but a rough cleaning sponge) I dabbed the polishes on my nails. I overlapped the colours and kept dabbing at them while they dried, thus creating a texture! 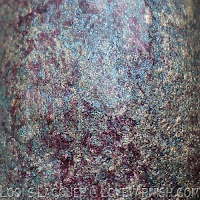 I think metallic polishes will probably work best for this technique because they dry really quickly and are often opaque in one coat, giving you a nice stippling effect instead of blending the colours. Voilà, DIY brushed metal texture polish! And if you are curious to see what it looks like with topcoat, you can check out this next picture and the small picture in the top left. It kind of looks like marble with topcoat! I don't know which look I prefer yet, but I will definitely try this again! Stay tuned for challenge day 9: Rainbow nails! I love both of these manis! 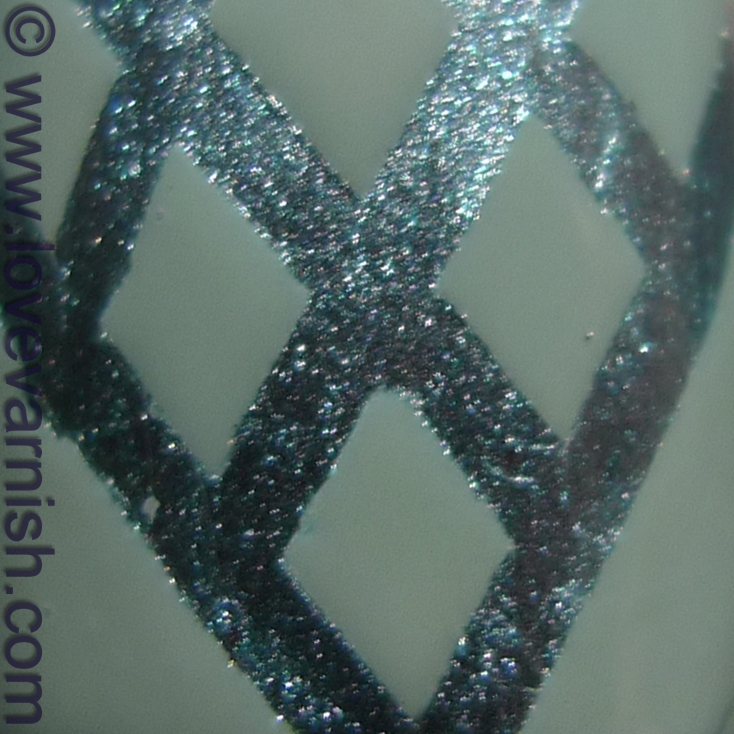 I really like the colour combination in Deborah's tape mani, and the interesting taping patterns too! Loqi's DIY textured effect looks fab too, although I confess I like it more with topcoat because I prefer shiny smooth manis to textured ones (I don't have any textured polishes!). I love the overlapping colours though! That first mani is so fun. I will definitely have to try it, but that second mani is probably one of my favorites of any blogger I have seen in a long time. I may have to give this a go myself! And Loqi, wow, just wow! I want to buy all four of those polishes just to try to attempt what you did! Gorgeous! Deborah is a goddess with striping tape isn't she? Thank you so much for the compliment! Will you show the result when you try it? *blushes* oh my, thank you for that compliment! I really liked it with topcoat too, it brought out all the colours nicely, thank you! Thank you very much Natalie! This is one epic post. ♥ Great job, ladies! Deborah - I LOVE the tape manicure and the CG is beautiful, I think my fave metallic is Revlon Silver Dollar, it's perfect! 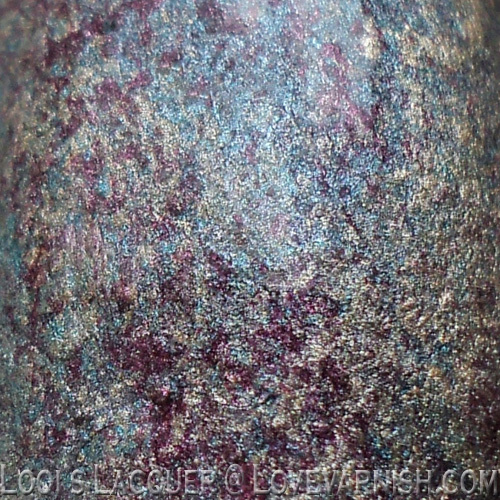 Loki - what a fab idea for texture polish, I didn't really like the look of the textures but what you've done is great! Aww you are both too sweet :). Stop you two, you are making me blush! Aww thank you! Revlon Silver Dollar looks a bit more foily am I right? If I ever run into it I'll grab it :). I must be honest, I'm not at all into metallic polishes. I can't explain why, but they don't catch me. Anyway, they're good for stamping purposes and you're making me love them for striped manis too! Your striped experiments are so damn gorgeous!!!!!! And I jawdropped onto Loqi's DIY textured nails. I'm going crazy for textured varnishes and I've never thought to realize them with a rough sponge. The result is astonishing!